And then there’s the opening. Yep, that’s a Brooklyn Tweed logo. And a Brooklyn Tweed thank-you note. 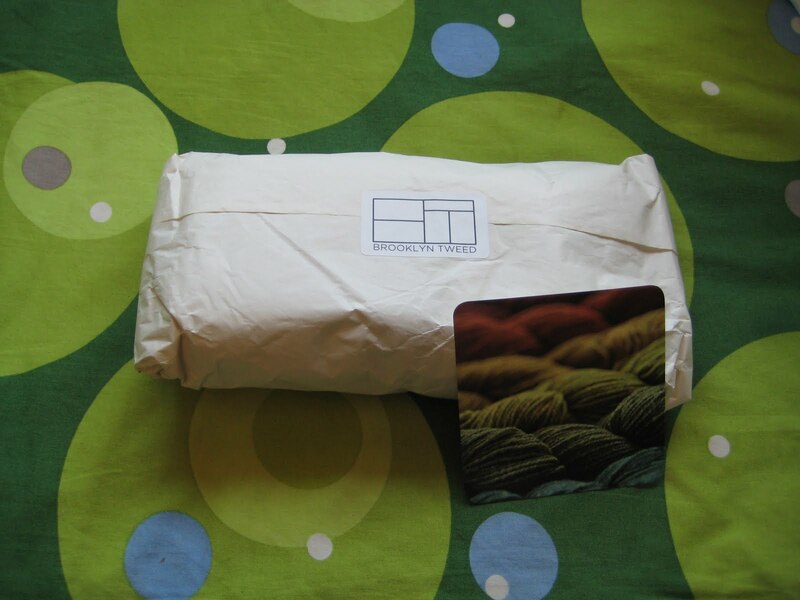 For the purchase of Brooklyn Tweed yarn. 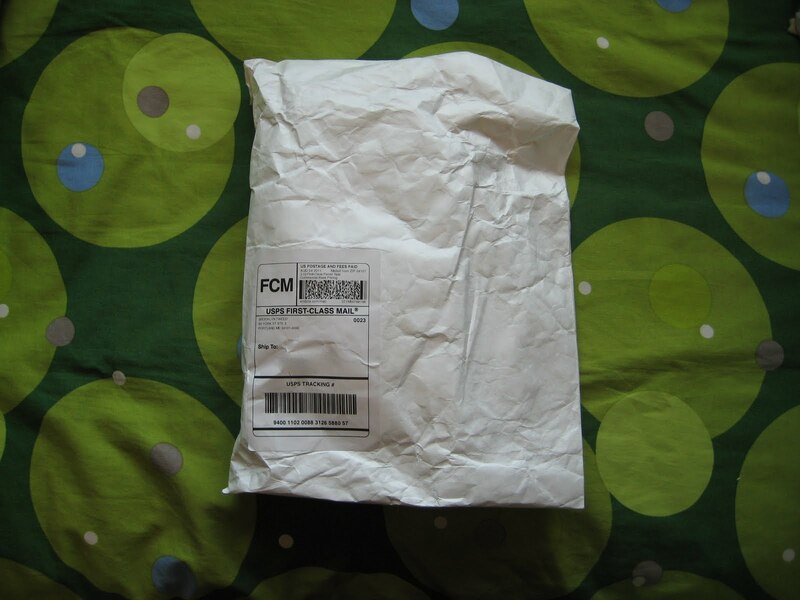 (a treat for my completing a reviled and feared task: submitting job apps). Here we begin Part One of my quest to Knit American. The seed of this idea was planted a few years ago with Blue Garter’s praise of the wools of the Pacific Northwest. Crafting is yet another arena where consumers can use their purchasing power to guide the modes of production into sustainable channels, and have a lot of fun doing it. There are not really any wools truly local to where I live now, but buying yarns produced in my own country, or even on my side of the Mississippi, is a lot more local than buying yarn from half the world away. 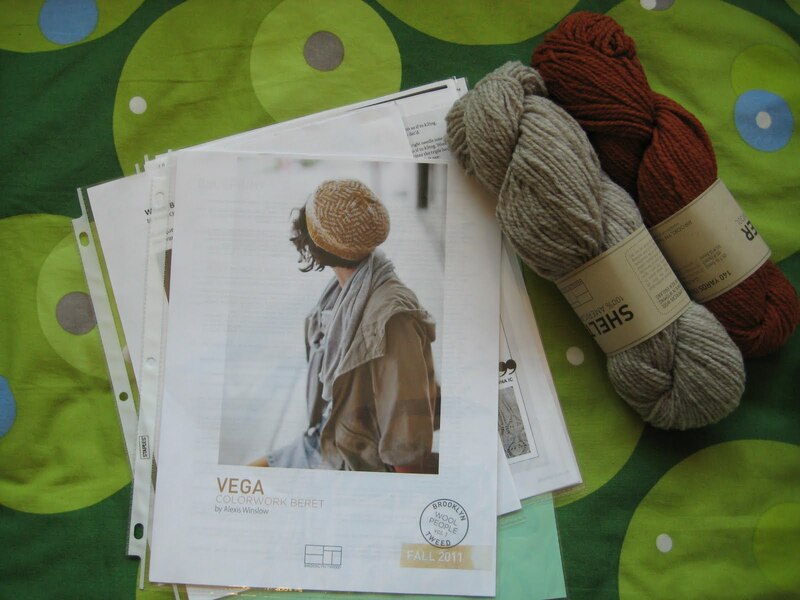 The idea of “Knitting American” expanded a bit with my joining a yarn CSA. 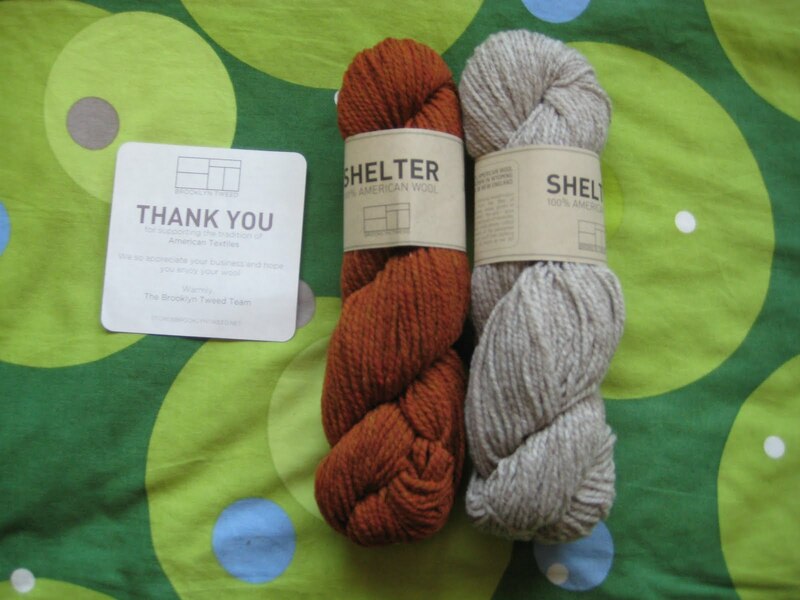 And then both Quince & Co. and Shelter yarns hit the market. The idea became a PLAN: sample the yarns of a selection of companies that produce yarn in the US from American wool, make a vote for American shepherds and mills, and see how they compare to yarns spun who-knows-where out of wool sourced from who-knows-where. The beauty of knittinglessness is that it never lasts long.